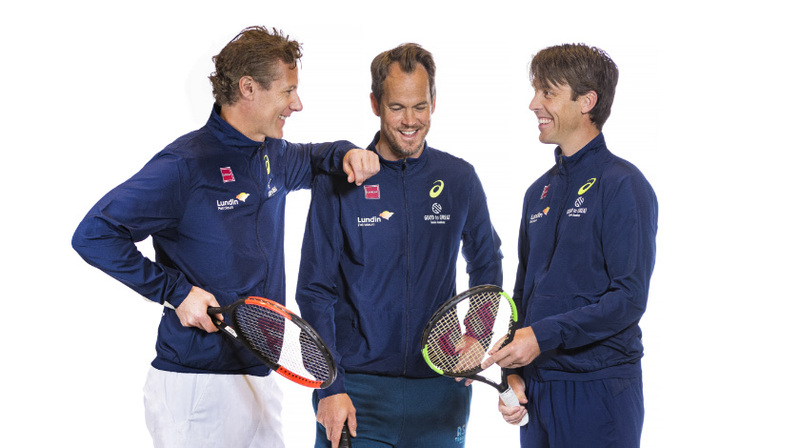 The founders of the Good to Great Tennis Academy are Magnus Norman, Nicklas Kulti and Mikael Tillström. Besides the burning passion for tennis and player development, we have another thing in common – we have all taken the step from being good tennis players to become world class elite players. We have all won the Davis Cup for Sweden and have been ranked among the best in the world. All three of us know what it takes to reach the top. There are many hard hours behind every success, but we can promise you that it’s worth every second. You realize this immediatley the day you stand with the trophy over your head. Through our experience, we aim to develop tennis players from Good to Great, as well as preparing young people for life on and off the tennis court. Since April 2018 the Good to Great Tennis Academy has been located within Catella Arena. The new facilities are open to the general public when the Academy is not using the tennis courts. According to us, being successful in sports is a way of life – 24 hours a day, 7 days a week, 365 days a year. Respect and energy are key words for us and this must exist within everyone involved: coaches, parents, other relatives and above all – the player themself. We strive to give all players the necessary tools to develop their tennis, but it is ultimatley up to the player to take the final step! Our academy rests on our uniquely developed concept called CARE. Whether it’s tennis, physics or how we behave towards the people around us, these factors are important for us to help others achieve success. We rest on the Swedish Sports Confederation´s (rf.se) guidelines and code of conduct regarding players, coaches and other staff involved at Good to Great World AB.